The North American Versatile Hunting Dog Association (NAVHDA) is a nonprofit corporation whose purpose is to foster, promote, and improve the versatile hunting dog breeds in North America; to conserve game by using well trained reliable hunting dogs before and after the shot; and to aid in the prevention of cruelty to animals by discouraging nonselective and uncontrolled breeding, which produces unwanted and uncared for dogs. Photo courtesy Greg Gunter. All rights reserved. The North American Versatile Hunting Dog Association is a legally recognized nonprofit organization dedicated to fostering, improving, promoting, and protecting the versatile hunting dog in North America. Underlying these aims is the desire to serve the interests of game conservation, prevention of cruelty to animals, and the gun dog hunter by helping the hunter to train his dog to work before and after the shot, on land and in water. NAVHDA is an excellent complement to the activities of sporting dog breed clubs and field trial organizations. It was created to supplement the activities of those clubs by providing a proven, standard method of evaluating the performance of all versatile hunting dogs, consistent with North American hunting practices, regardless of breed. The first level, NAVHDA International, operates under bylaws approved by its membership. These bylaws provide for officers elected by popular vote who, together with appointed directors, constitute an Executive Council charged with furnishing direction and guidance to NAVHDA programs. The second level, local chapters of NAVHDA, are the “grass roots” organizations, which sponsor the training and testing programs. There are sanctioned chapters throughout the United States and Canada. Photo courtesy Steven Earley. All rights reserved. Eagle Rock NAVHDA is one of the newest NAVHDA chapters in North America. It will charter in January, 2019. 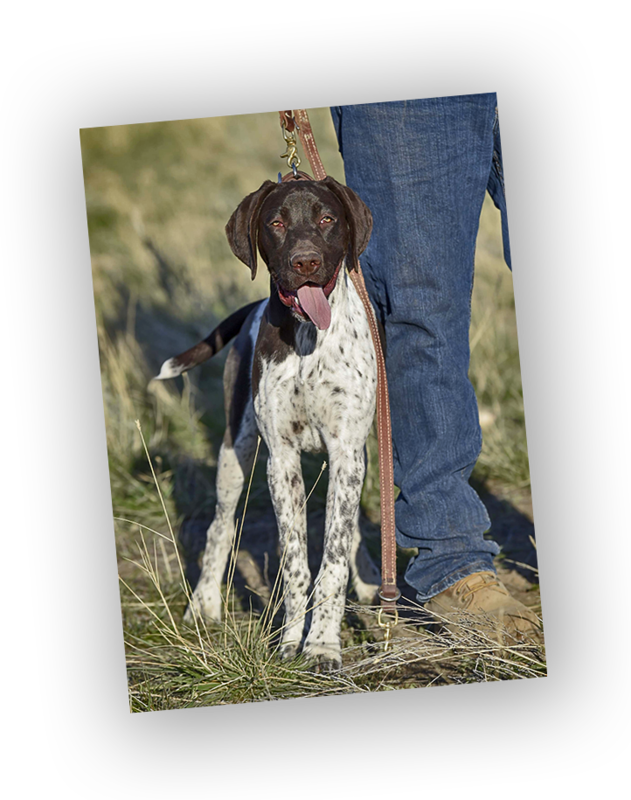 A core group of experienced NAVHDA members and chapter officers – trainers, breeders and handlers – are working to bring the many benefits of having a local NAVHDA chapter to versatile dog owners and huners in Southeast Idaho and the surrounding region. Northern Utah’s Wasatch Mountain NAVHDA is providing assistance and financial support in the formation of Eagle Rock NAVHDA. Eagle Rock NAVHDA will subscribe to the principles of NAVHDA International, with the same emphasis upon preserving and improving the versatile hunting breeds, and improving the field experience for owners of these wonderful dogs by helping them train their dogs to their fullest potential. 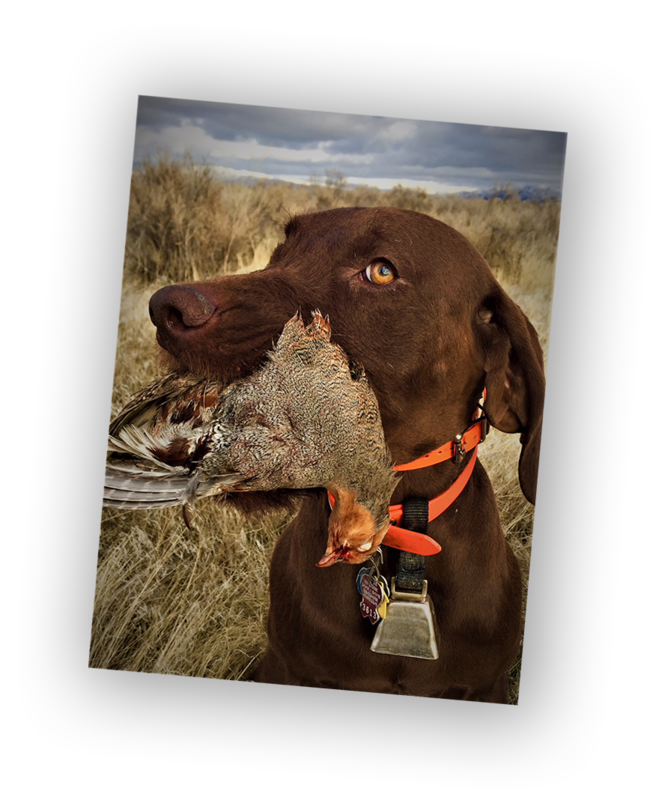 Southeast Idaho is blessed with superb upland and waterfowl hunting, and abundant public land access. Owners of well-trained versatile hunting dogs have a wealth of opportunities to enjoy days in the field with their hunting companions. Eagle Rock NAVHDA will be here to help them maximize their experiences in the field and provide a place where they can enjoy the company of like-minded hunters and trainers.